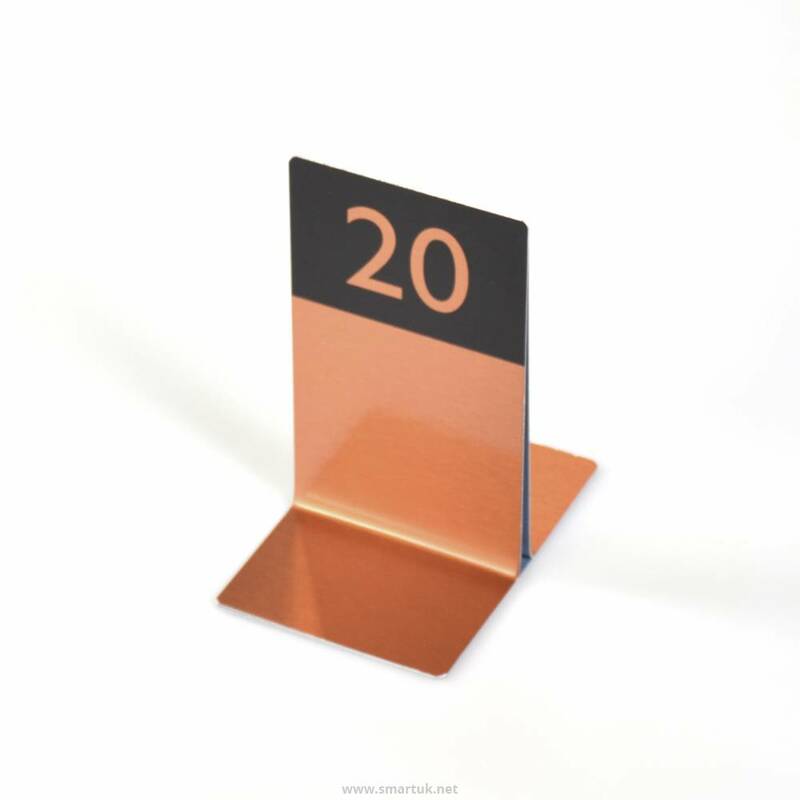 Metal Menu Holders that are numbered for your restaurant tables. These single channel metal menu holders come in a range of colours and number options. 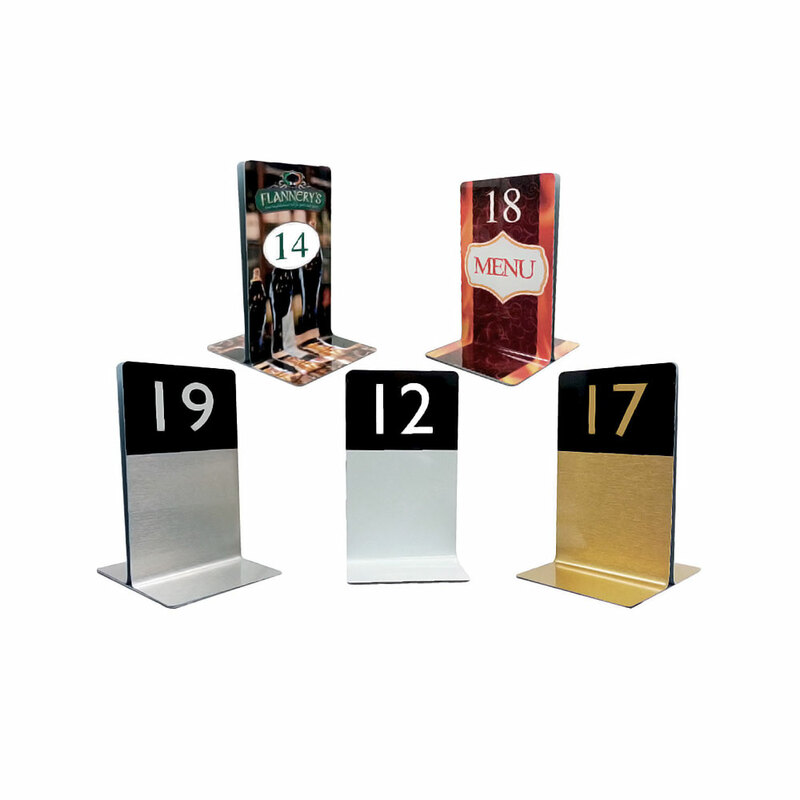 These Metal Menu Holders are manufactured from a lightweight aluminium and finished in silver, gold or white. 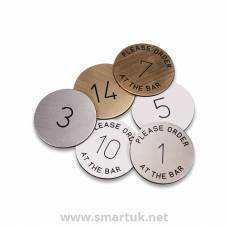 In addition to the gloss white, brushed gold, brushed silver, copper and rose gold finishes these metal menu holders can also be printed full colour with your very own artwork and design. 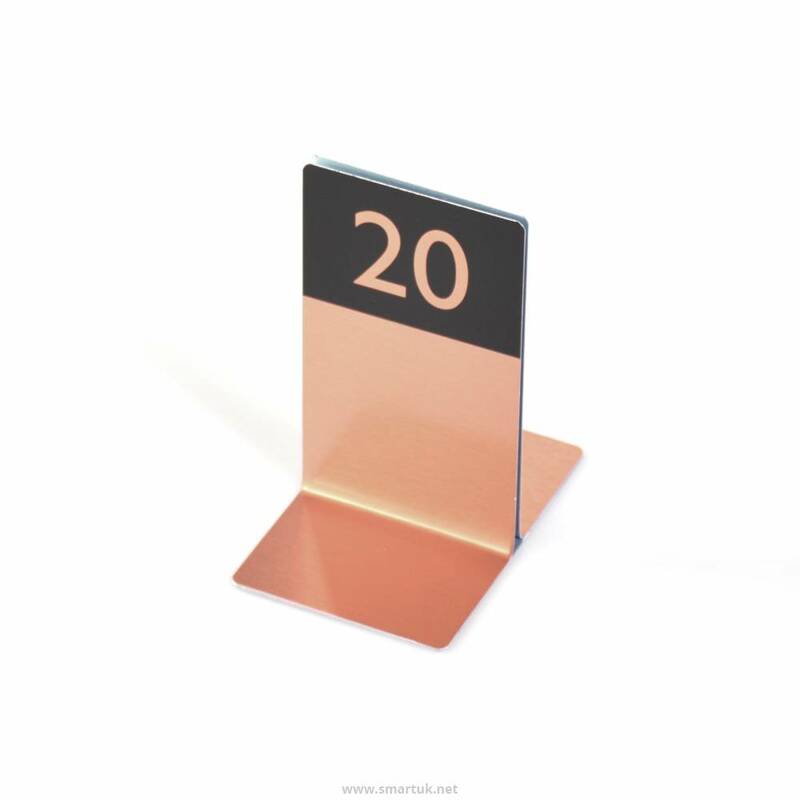 A minimalistic restaurant menu holder like this will add a modern and sleek edge to any decor and they are easy to read, making table numbering easy. Metal Menu Holders are robust and can be easily cleaned and sanitized to keep them looking good and compliant with health and hygiene. These can be fully branded with artwork of your choice. Simply speak to our expert team to discuss your options.